The dynamic John McElroy returns to MSED to give one of his very popular presentations on the ins and outs of the auto industry in a way that no other speaker or automotive expert is capable of doing. His appearances sell out quickly, and we are thrilled to have him back again at a time when the auto industry is changing so dramatically. Find out why the auto industry, as we know it, will cease to exist in two decades! 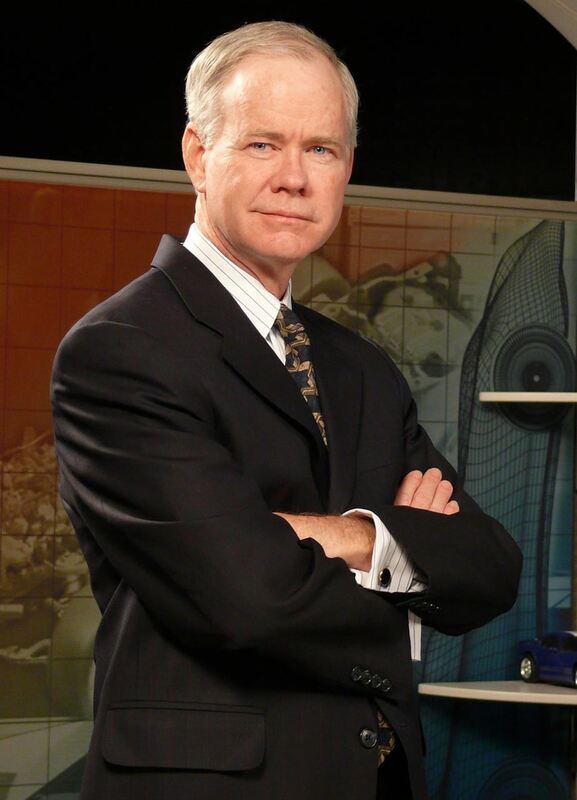 John McElroy is the host of “Autoline Daily” the first industry webcast of industry news and analysis. He is also the host of the television program “Autoline This Week,” a weekly half-hour discussion program featuring top automotive executives and journalists. The show can be seen online at www.autoline.tv. McElroy also broadcasts five radio segments daily on WWJ Newsradio 950, the CBS affiliate in Detroit. He writes a weekly blog for Autoblog.com and a monthly op-ed article for Ward’s AutoWorld. John McElroy brings an extensive background to covering the auto industry. He took his first plant tour when he was only six years old. As he got older, he read any and every book about cars he could get his hands on, which led to an understanding of automotive engineering principles. As his enthusiasm for cars grew, he successfully — though briefly— ventured into amateur road racing. He also gained valuable insight to the industry working as an hourly UAW employee in various automotive manufacturing plants while working his way through college, where he earned a Bachelors Degree in English at Wayne State University. As a journalist, McElroy put his automotive background to good use. His past experience includes five years as Detroit Editor for Road & Track, and as the American correspondent for World Cars, which was published by the Automotive Club of Italy. He was also invited to write the annual automotive entry for the Encyclopedia Britannica Yearbook. He spent most of his career at the trade magazine Automotive Industries where he ultimately rose to Editorial Director. McElroy has appeared as an automotive expert on ABC World News Tonight, CBS News, and NBC Nightly News. He is often interviewed by CNN, NPR, and CBC in Canada. He is frequently asked to speak to automakers, suppliers and industry organizations. He is a member of the jury of the North American Car and Truck of the Year. John McElroy is a thorough student of the industry as a print journalist, television and radio broadcaster, analyst and lecturer. MSED Event Cancellation Policy: Cancellations will be accepted until 5pm on Friday, February 10, 2017. Cancellations received by this date will be refunded less a 10% administrative fee, with a minimum charge of $5. Refunds cannot be issued for cancellations received after this date; however, substitutions for another person to attend in your place are gladly accepted.